What has turkey, parades and the open sea? 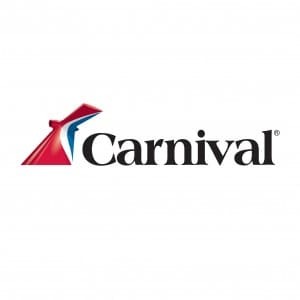 Funtastic Thanksgiving cruises with Carnival Cruise Line, of course! This Thanksgiving, we at Carnival have a lot to be thankful for. From the chance to spend the holidays with our delightful guests to the opportunity to sail to exotic destinations like Mexico and The Bahamas, we love celebrating the season with you. 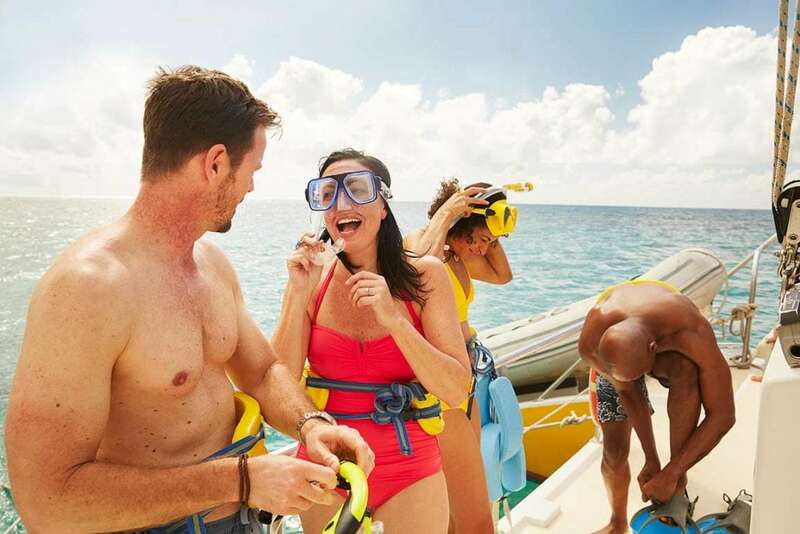 Here are the top 10 things you can be thankful for when you book a holiday cruise with Carnival. 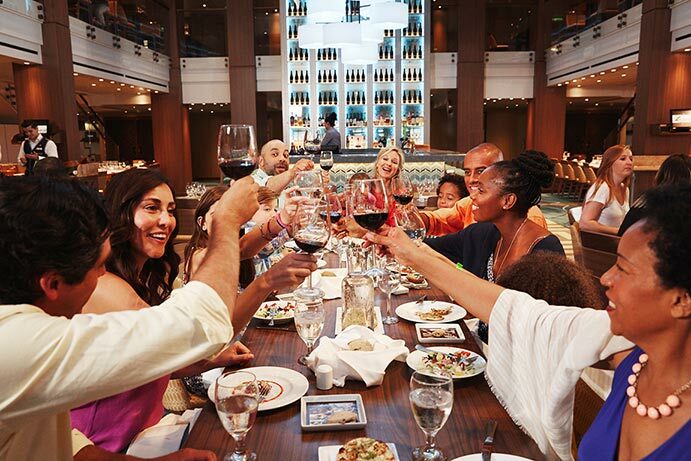 Whether you come with your family or find a new family aboard the ship, the cruise community makes great company for the holidays. Play trivia games, get to know each other at the poolside bar, or have a dance at the nightclub. Thanksgiving is a holiday about coming together, so share this special time with the other guests on the family cruise. Where else will you find a crew that enjoys their job as much as ours do? 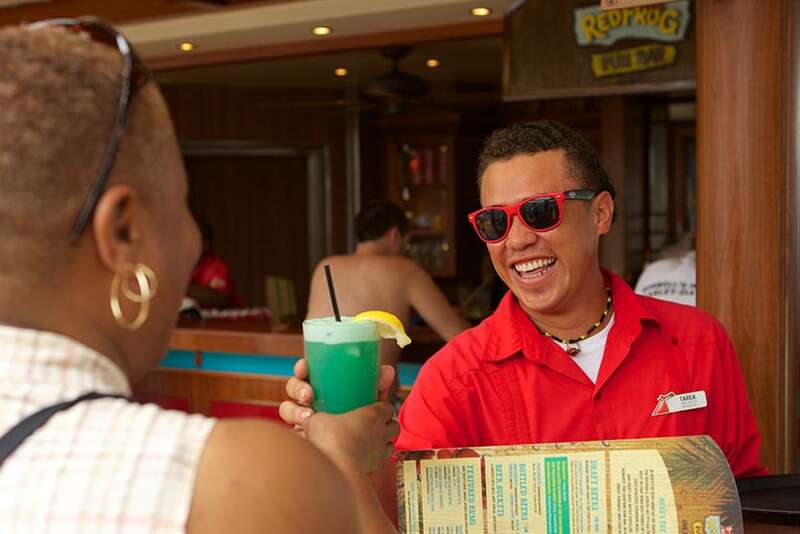 From the fun-loving waitstaff to the extremely helpful stewards, you’ll be surrounded by staff who want nothing more than to make sure you’re having a great cruise vacation. You’ll be in good hands as you travel to one of our exotic destinations. 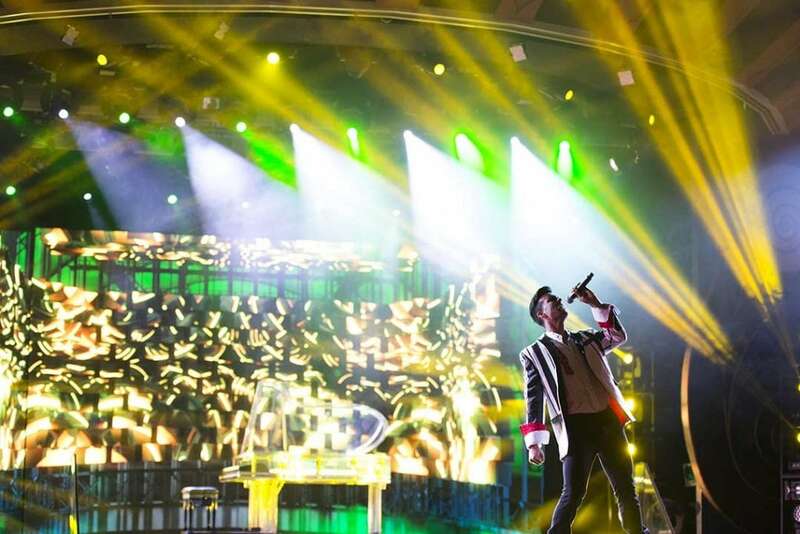 Live shows, exciting trivia and even a post-dinner duck hunt? Yes, please! You can be grateful for a schedule chock full of fun cruise activities to keep you and your family entertained. 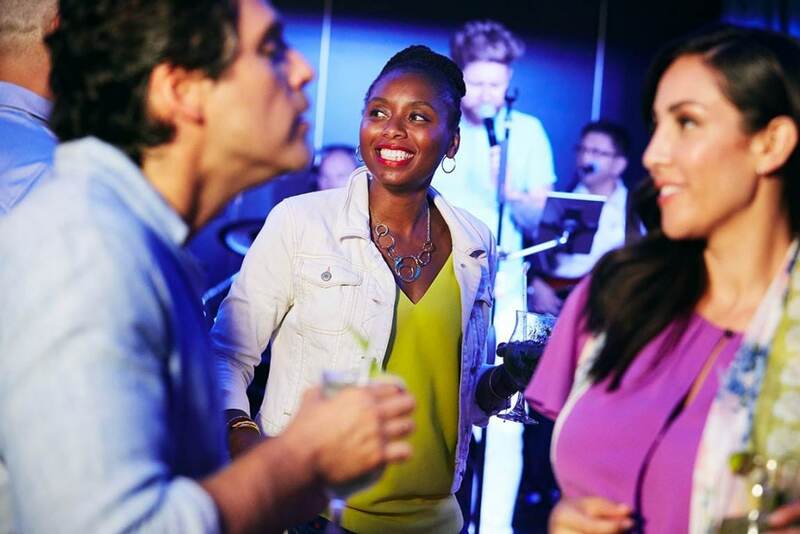 Whether you’re looking to jam to a DJ or dance to the hottest hits at the nightclub, we have you covered with exciting onboard entertainment you’ll get a kick out of. Of course, you can also spend your time schedule-free and simply enjoy a book on the deck. Now that’s something to really be thankful for. 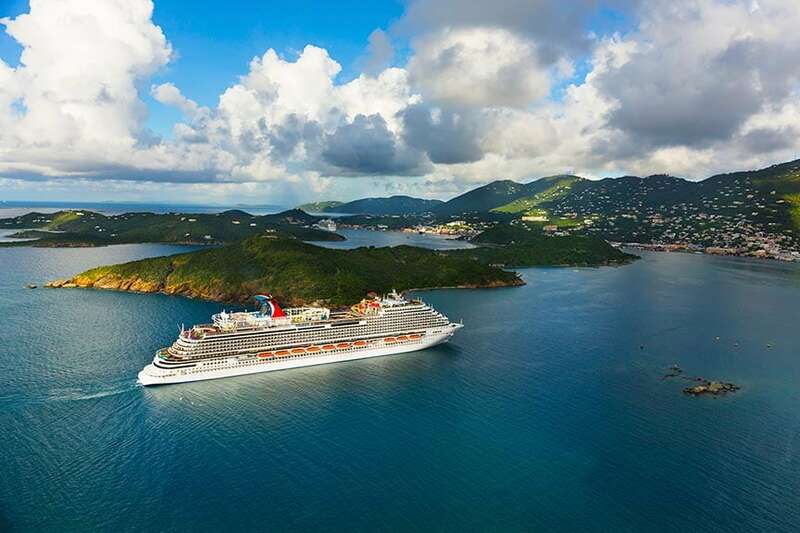 Not to toot our own horn, but we happen to have some of the best cruise ships in the world. For example, the new Carnival Vista offers a myriad of activities and amenities – including a microbrewery! Other ships feature wraparound promenades, ropes courses, adult only retreats, and more. With 25 impressive ocean liners in the fleet, we have a little bit of something for everyone. If your home isn’t where you wish to celebrate Thanksgiving, make like the Pilgrims and set sail for a new land! With ports of call in the Caribbean, Mexico or The Bahamas, you can cruise to an exciting destination and enjoy breathtaking beaches this Thanksgiving. It isn’t every November you can be found snorkeling, swimming with dolphins, or lounging in the sunshine! As any parent (especially of young children) will tell you, holidays after kids are anything but a vacation. Not anymore! With camp for younger tots and clubs to keep older kids busy, this weekend getaway really gives parents a needed break. Even better? Nighttime babysitting makes a holiday date night easier than ever. For many people, Thanksgiving comes at a time when the weather is turning colder and snow is just around the corner. 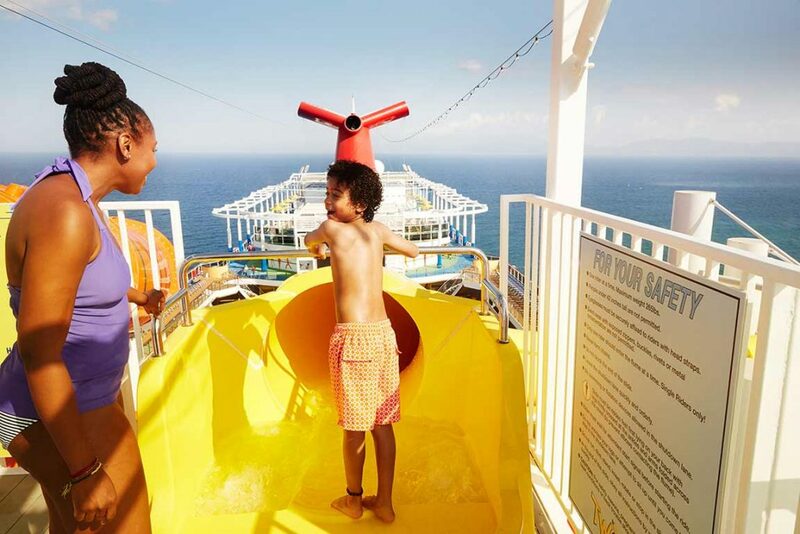 However, a holiday aboard our ships provides families with the opportunity to have some fun in the sun — even in November! Ride a winding waterslide, enjoy festive drinks at the poolside bar or hit the green for a round of golf. Our Thanksgiving celebrations only happen on Thanksgiving Day, but they’ll certainly leave you happily stuffed. Items like roasted turkey, sweet potatoes, gravy and, of course, pumpkin pie usually make an appearance. They’re served along with a cornucopia-like array of other delicious seasonal items. Beyond the festivities on Thanksgiving Day, you’ll also be thankful for a delicious steakhouse, 24-hour pizza and a kids menu that will please even the pickiest of eaters. Say goodbye to days huddled around the rabbit ears and hello to watching the annual Thanksgiving Day parade at our Seaside Theater! You’ll love sharing the joy of this Thanksgiving tradition with the other families aboard. Many of us remember hosting a holiday party at home. You know, the planning, the prep work, the slaving over a hot stove with a turkey baster? Not on our ship. Sit back, relax and let the crew cook you a delicious Thanksgiving meal. Spend time with your family instead of vacuuming the dining room. Enjoy a post-dinner game of trivia instead of worrying about the dishes. On our ship, you don’t have to be the captain. From sailing the open seas to spending quality time with the family, there’s plenty to be thankful for on a Funtastic Thanksgiving cruise. Celebrate the spirit of the season by sailing to exotic lands and sharing a meal with the ones you love — or some new friends. With so much fun (and relaxation) to be had, you may just thank everyone you see — and to that, we say, you’re always welcome. Note: Onboard activities may vary by ship.